Justice is paramount. 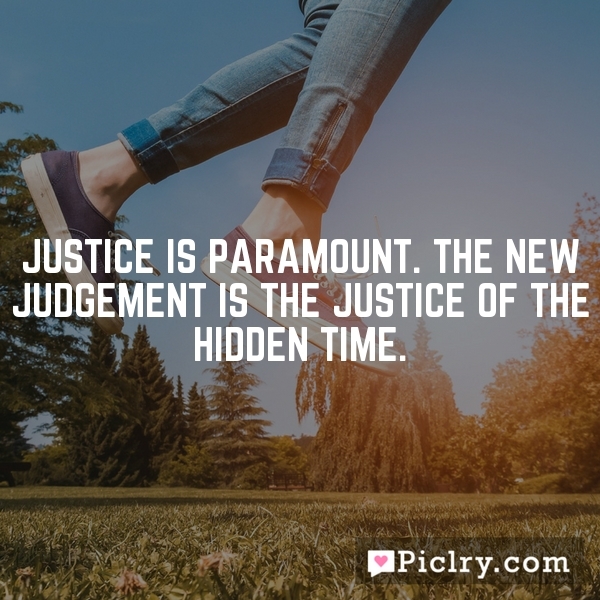 The new judgement is the justice of the hidden time. All the truth of God are discoverable through every day life. Hear me, and I will instruct thee; hearken to the thing that I say, and I shall tell thee more. I beseech thee, O Lord, let me have understanding: For it was not my mind to be curious of the high things, but of such as pass by us daily.